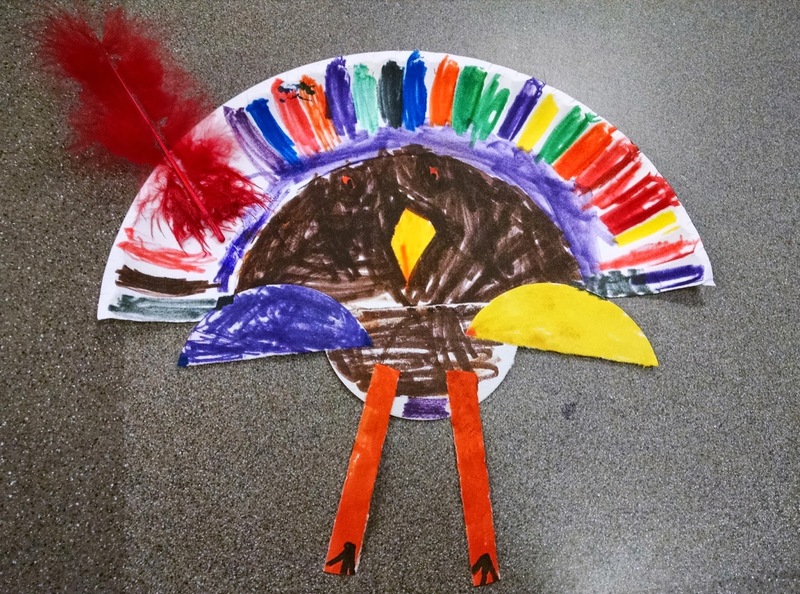 Two years ago I did turkey hats with the kids and did a post here about the adorable triplets who each made a hat in their own way. You can find it here. And here are two of the hats the kids made today. 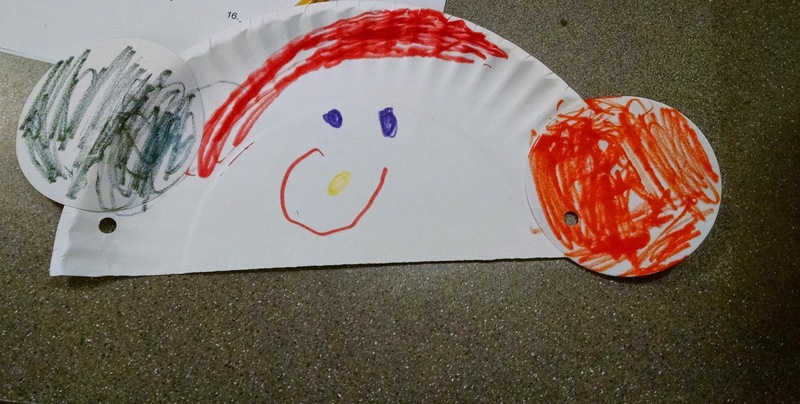 I meant to take a picture of a third hat, where the young lady had flipped the paper plate and made her hat the opposite way, but missed it in the busy group. So once again--throw away the pre-cut pieces (aside from basic shapes, like the circles today).